North Carolinians can be forgiven if they haven’t thought a lot about the predatory “payday lending” business in recent years. Indeed, it was one of the great accomplishments of our state government in the early part of the last decade when it officially ended North Carolina’s four-year experiment with the business and made these inherently predatory loans illegal. The last of the payday shops was chased out of the state in 2006. Short-term payday loans (defined as loans 45 days or less): These are typically due in full on the borrower’s next payday. Fourteen states plus the District of Columbia prohibit these loans by enforcing rate caps of about 36% annually. 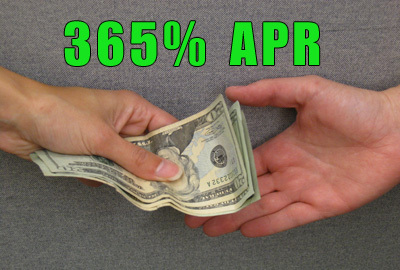 Long–term payday loans (defined as loans longer than 45 days): These also carry triple?digit interest rates and carry terms anywhere from 46 days to years. In important ways, the longer loan term makes these loans more harmful than short?term loans, not less. “Given this extraordinarily high cost and extraordinary leverage – control over the borrower’s bank account and/or ability to repossess the borrower’s car – payday and car title lenders lack the incentive to make loans that borrowers have the ability to repay while affording their other expenses. In fact, lenders have just the opposite incentive: They make more when they can trap borrowers in unaffordable debt for extended periods of time. Then they grab the payment from the borrower’s account on payday, leaving the borrower unable to pay rent or another basic necessity, and flipping the borrower into another loan. In the states where the loans are legal, therefore, tough federal rules will protect thousands – if not millions – of consumers from exploitation. A potential problem for NC? “One sizable potential problem with the effort, however, involves states like North Carolina that have already had the good sense to ban the predators outright. “We appreciate the Bureau’s efforts to curb predatory payday lending by crafting the first-ever federal payday lending rules, and we recognize that this is not an easy task. Since the Consumer Financial Protection Bureau (CFPB) is prohibited by statute from setting an interest rate cap, by far the best way to regulate high-cost lending, it is extremely important that we protect and maintain our North Carolina interest rate cap. Though we understand that a national CFPB rule would not preempt our stronger state interest cap, weaknesses in the rule would present a direct threat to these state consumer protections by lending undeserved legitimacy to predatory practices…. No one knows what the new proposed rule will say exactly, but consumer advocates are hopeful that the CPFB will propose a strong regimen that curbs abuses in the states where payday loans and car title loans are legal while preserving the right of states to ban the practices (as North Carolina does) outright. Those who care about keeping North Carolina free from these predators (as well as the national effort to combat them) would do well to pay close attention in the days and weeks ahead. 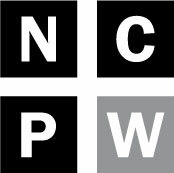 N.C. Policy Watch will be following the issue closely and is in the process of planning an upcoming Crucial Conversation luncheon on the topic. We’ll also be providing information about opportunities for nonprofits and ordinary citizens to comment on the proposed rule. Previous article Virtual charter schools are a bust. So why did the NC House loosen state regulations even further?